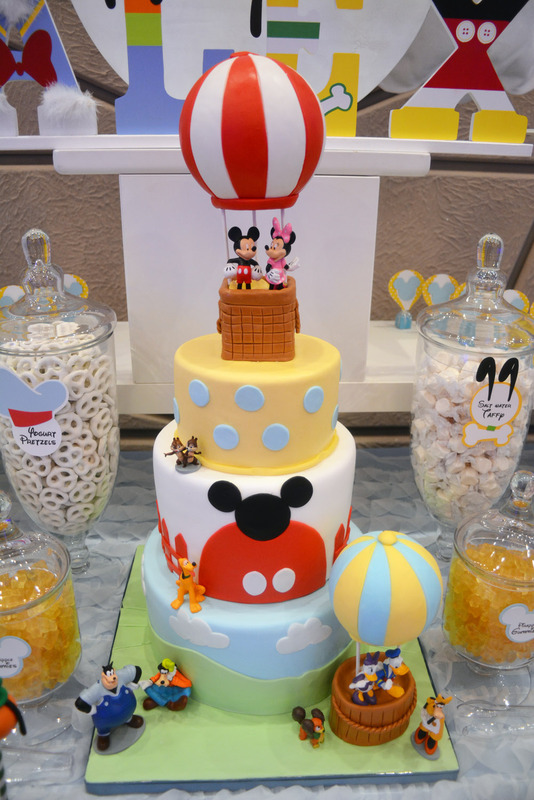 Up, up and away with Mickey and friends!! 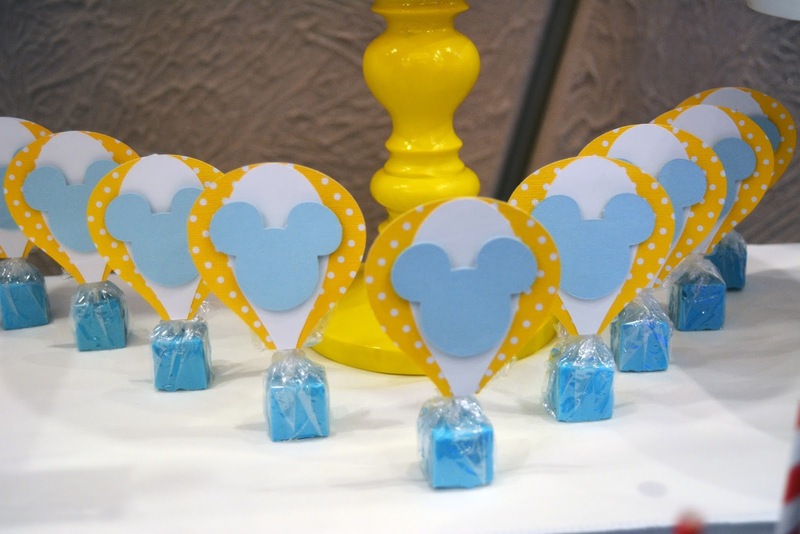 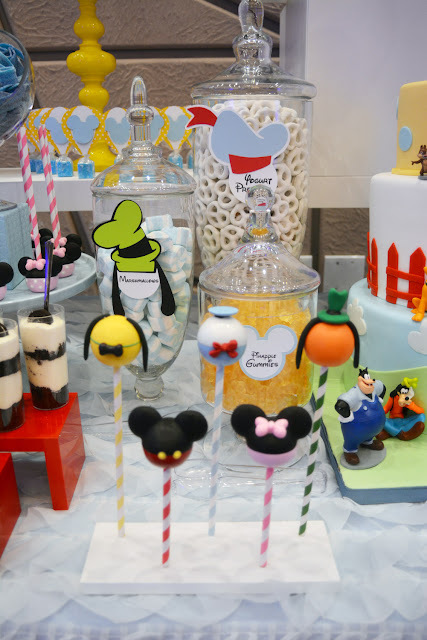 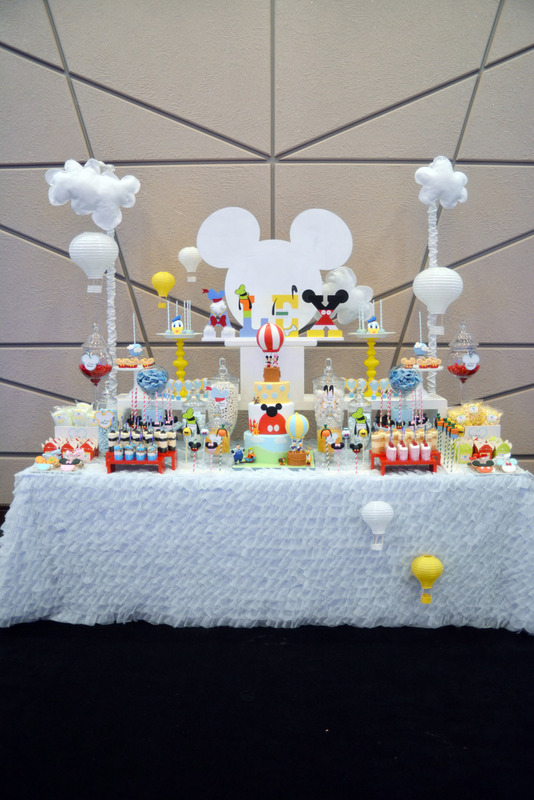 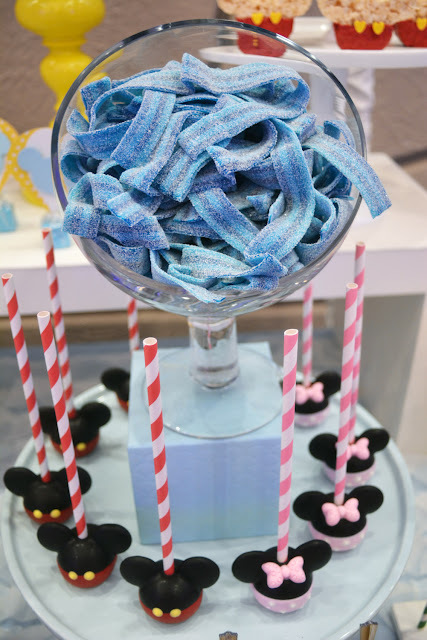 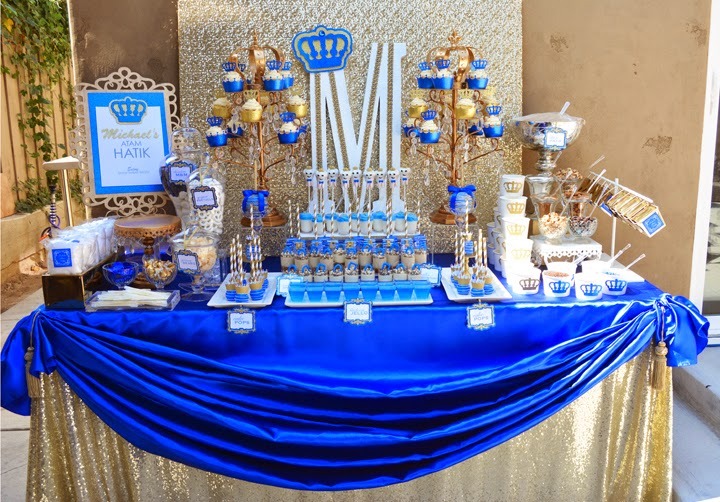 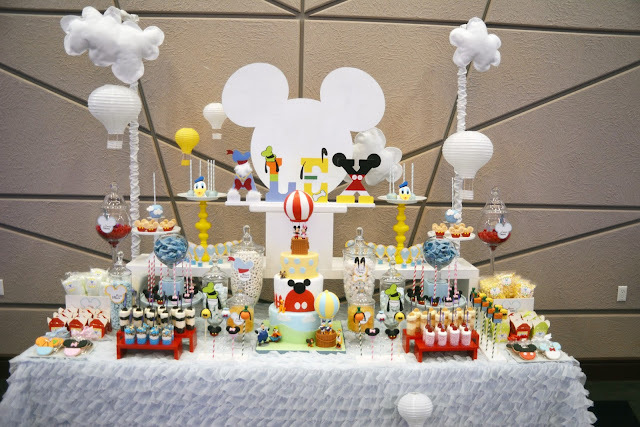 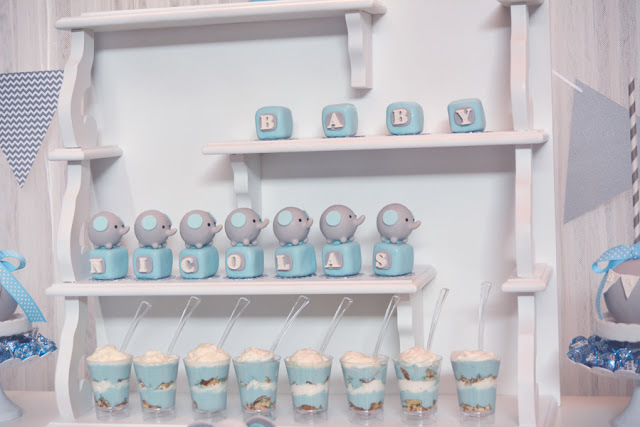 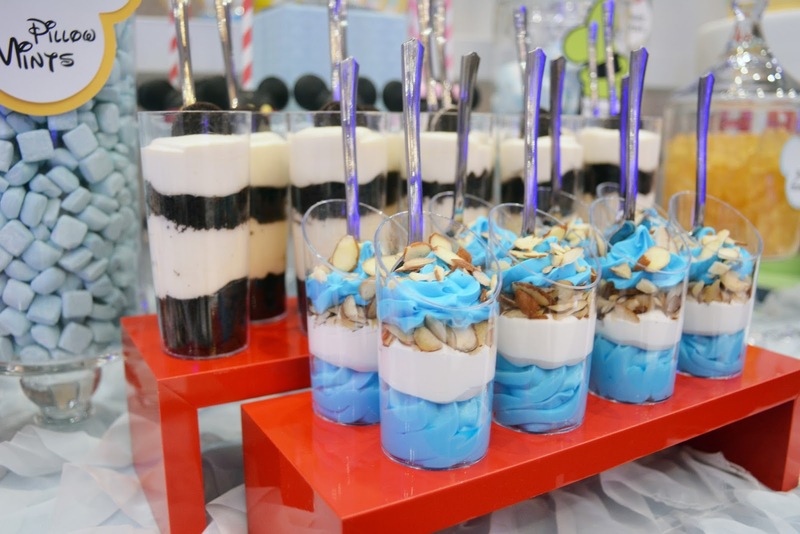 We created this fun Mickey and friends dessert table for baby Alex's welcoming party. 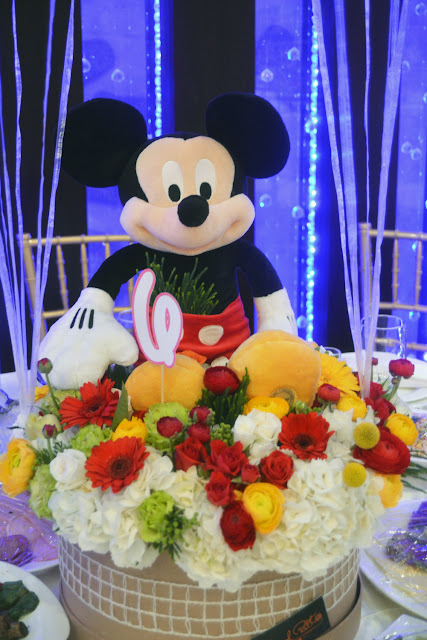 We incorporated all the bright colored elements of Mickey and friends, Minnie, Pluto, Goofy and Donald, to create this playful look. Since Mickey and pals are always on some kind of an adventure, this one happens to be with hot air balloons. 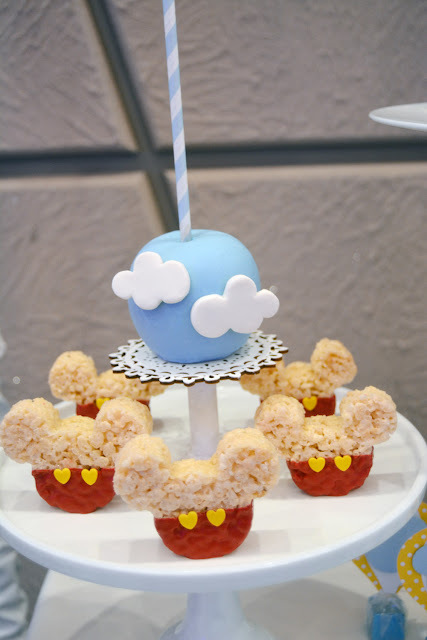 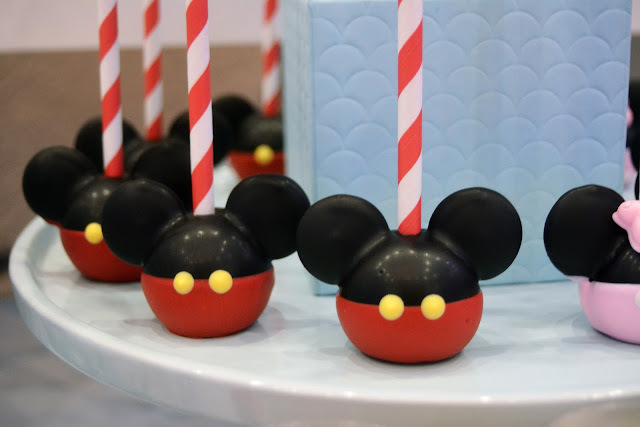 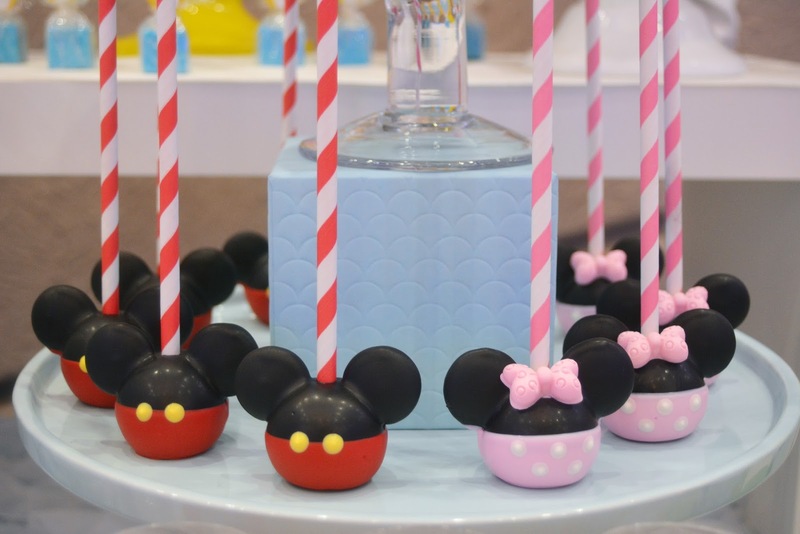 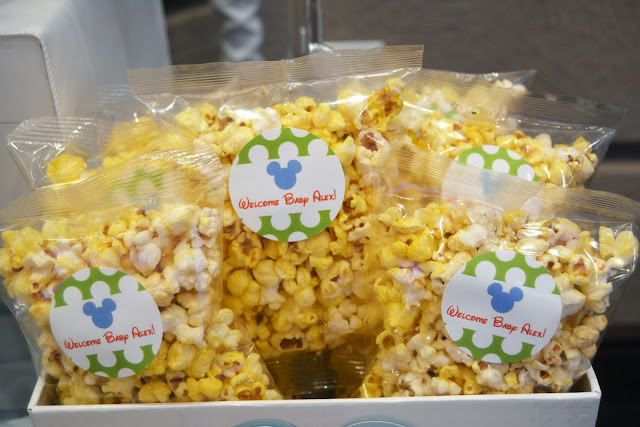 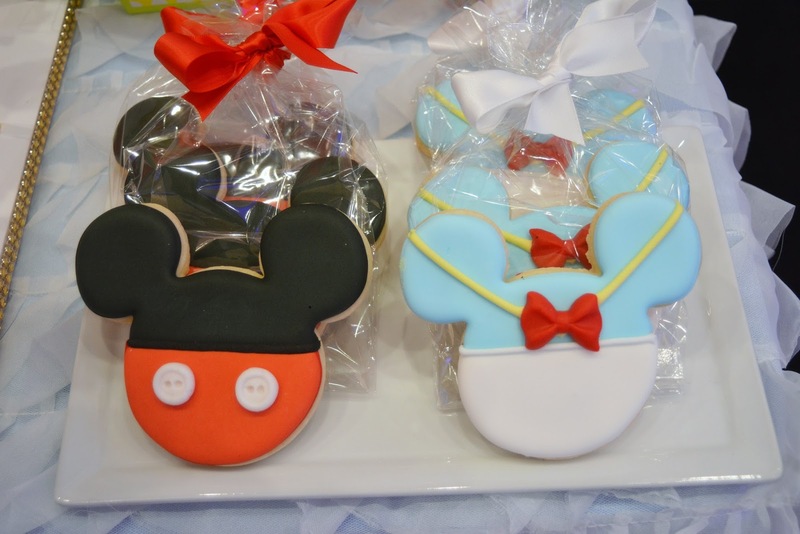 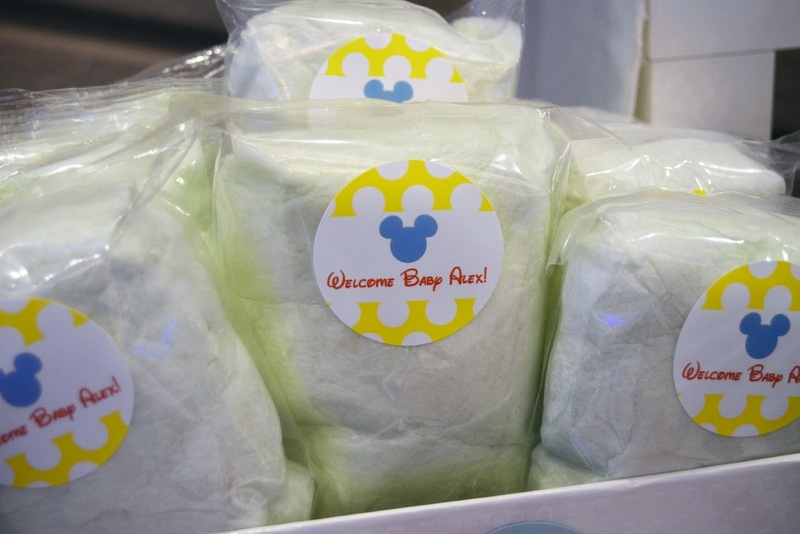 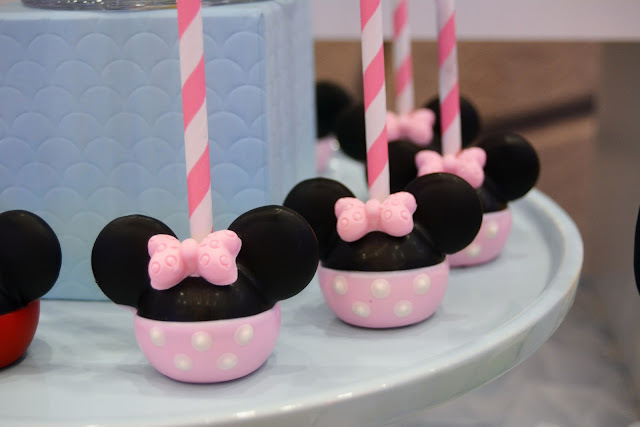 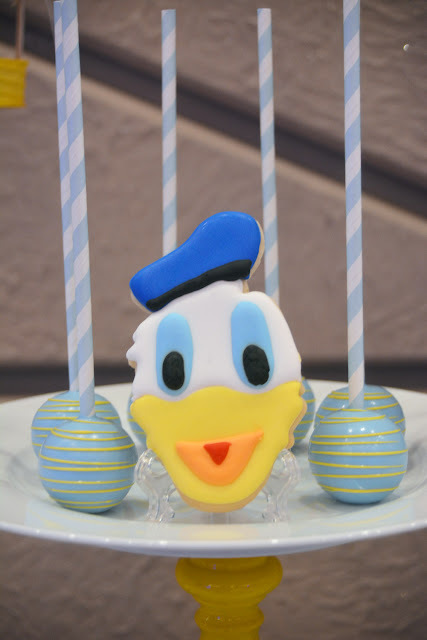 From cake pops and cookies to popcorn and gummies, Mickey and friends are off to have fun!! 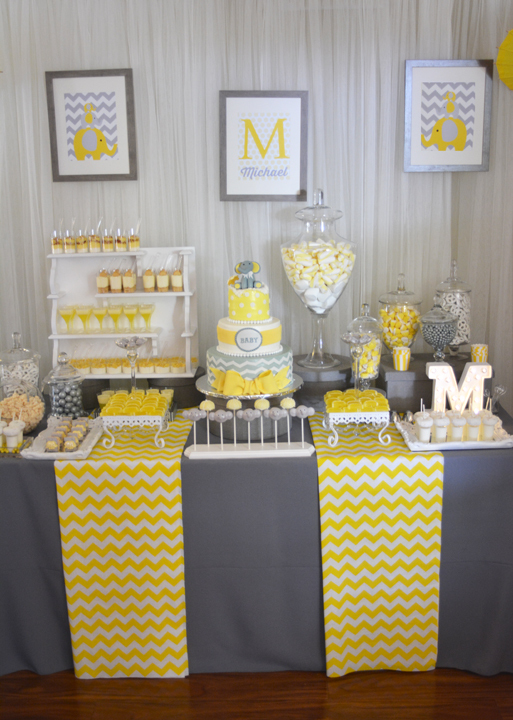 The custom made name plaque was made by us and served the focal point of the table. 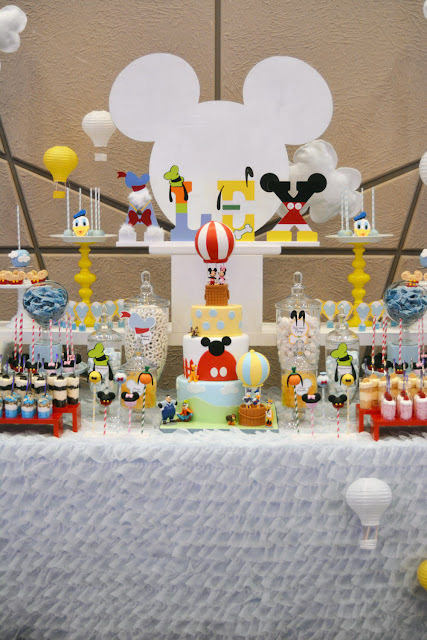 Placing it on top of the cake gave a more bold statement, accenting the cake design and the Mickey silhouette in the background. 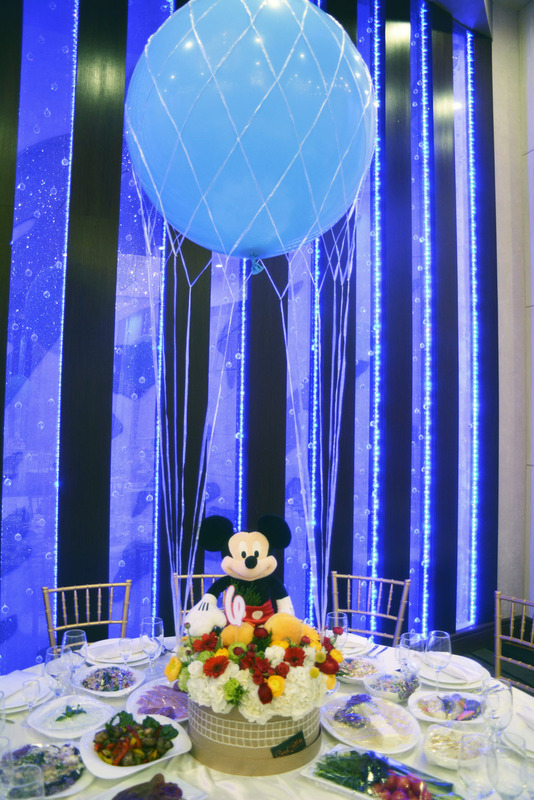 We had custom made centerpieces to match the fun, bold colors and hot air balloon theme. 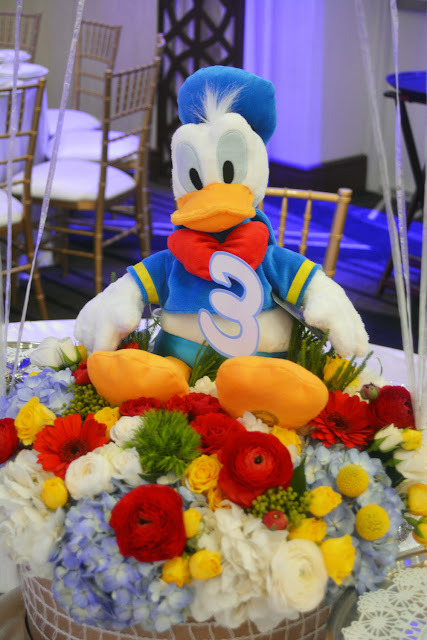 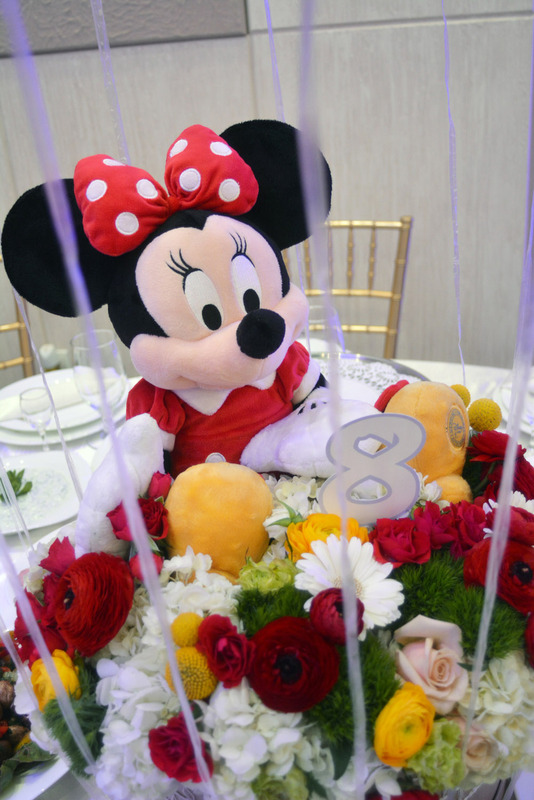 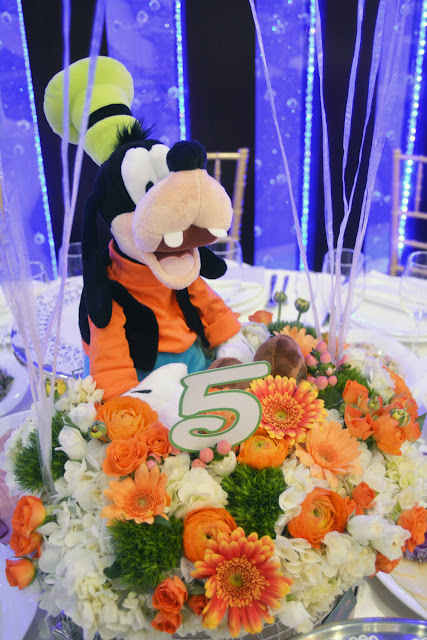 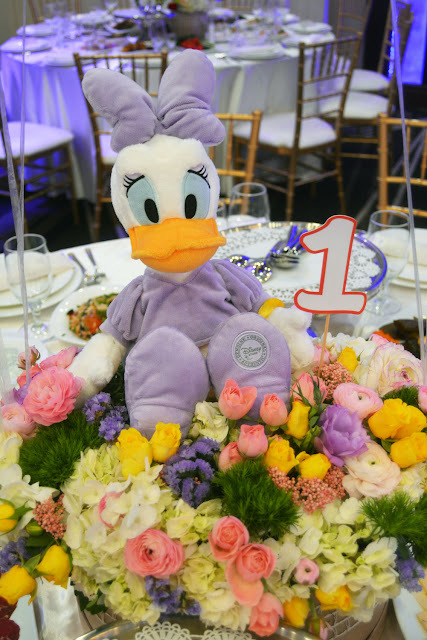 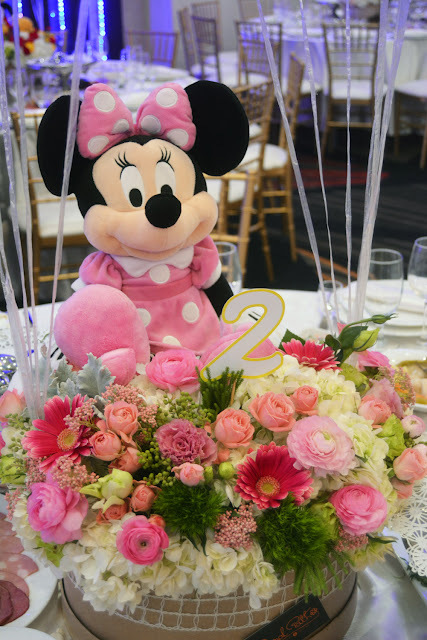 Each floral arrangement was topped with a plush Mickey or Pal, each representing their own colors.